"In addition to providing real-world cost-effectiveness evidence, the results will help administrators understand the factors that affect the cost-effectiveness, and potential ways to improve the program." The Centre for exceLlence in Economic Analysis Research (CLEAR), part of the HUB of St. Michael’s Hospital, recently evaluated a program that had been implemented across Ontario for over 40,000 patients in 6 years. In addition to providing real-world cost-effectiveness evidence, the results will help administrators understand the factors that affect the cost-effectiveness, and potential ways to improve the program. 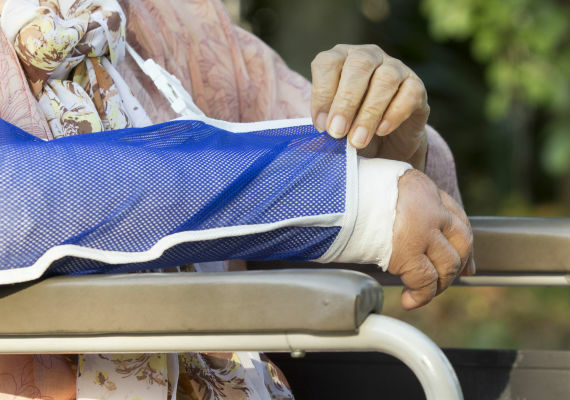 Older adults who have had a fragility fracture are at higher risk to have another, especially if they have osteoporosis. Although there is efficacious treatment to prevent fragility fractures, less than 20% of patients receive prevention interventions. In 2007, a multifaceted Osteoporosis Strategy was implemented in Ontario to prevent fracture and to improve care. As part of the Strategy, the Fracture Clinic Screening Program was implemented in 31 medium and high volume hospital fracture clinics. In the Program, osteoporosis screening coordinators identify, educate and refer fragility fracture patients, collect quality assurance data, and follow up with patients. While the Program increases rates of osteoporosis testing and treatment, the value of this increase is unknown. Working closely with the Musculoskeletal Health & Outcomes Research team at St. Michael’s Hospital, who were involved in implementing and evaluating the Osteoporosis Strategy, CLEAR developed a cost-effectiveness analysis of the program. Combining all available evidence in an explicit framework, CLEAR linked osteoporosis test and treatment rates from a single-arm study to comparative cost and effectiveness. The results from the economic analysis can inform clinical decision making and health policy related to the most efficient strategy to improve post-fracture care. Economic analysis of models of care is a thriving research area. It can improve efficiency of the health care system; when administrators understand what drives the cost-effectiveness of programs, they can devise solutions to further improve efficiency.